Jean-Marie Kent is the choir teacher at Roosevelt High School in Seattle. She recently completed her doctorate in choral conducting from the University of Washington, Seattle, specializing in collaboration and community engagement. Recognized for her ability to get to the heart of singing, she is frequently sought after as a clinician for high school and community choirs. Before moving to Seattle, she taught music on Vancouver Island and in New York where she developed public school music programs for gifted children. She has conducted orchestras and choirs, including the University of Regina Chamber Singers, UW Women's Choir, Nanaimo Symphony Orchestra, and the Victoria Civic Orchestra. Yuly is a distinguished musician trained in the classical Russian Conservatory tradition with wide experience as a pianist, singer, conductor and teacher. After collegiate studies in Russia, he was awarded a Fulbright fellowship to the University of Washington. Yuly received his Master of Music degree in Choral Conducting in 2012. Since concluding his graduate studies, Yuly has worked and performed in Russia, in the United States, and on tour with the university women’s chorus he founded in Russia, Vita in Canto. He is deeply engaged in the local musical scene, working with choral groups in the area as conductor, pianist and singer. 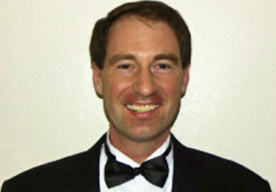 Clint Gawthrop began piano studies at age eight and subsequently studied with Mischa Kottler, a student of Rachmaninov. He is a full-time musician, composer, and piano teacher. Clint produced a variety show in 1998 and completed a solo CD “Brilliant Blue” in 2001. Clint has also been a soloist with several local orchestras. Along with the Northwest Symphony Orchestra, he had the joy of opening a concert for the Pike Place Fishmongers and Natalie Cole and playing the Pageant at Benaroya Hall. Clint’s composition “Serenade” aired on KING FM. He feels blessed to be part of the Magnolia Chorale.